How important is your Success Session? At Matrix Fitness Club we welcome all of our members with a Success Session. We know how intimidating the first visit to a health club is. We want to ensure you have a clear view of how we can help you achieve your goals the fastest way possible. With a detailed understanding of your current fitness level, we can create the best plan of action to help you move forward on your fitness quest. Studies show that 95% of people who join a gym without a clear plan of action, or the knowledge needed to effectively choose the right program for their needs, will not reach their fitness goals. 1. Know your current fitness level. 2. Identify weakness and strength. 3. Learn the basic movements. 4. Instruction for flexibility and injury prevention. 5. Experience a non-intimidating workout that fits your goals. We want you to get the most out of your Matrix membership. 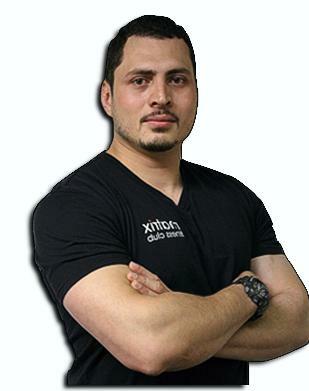 Our Matrix Fitness Club experts will create a specialized plan tailored to your goals. With their expertise and dedication they will make your journey fun, quicker and more effective. The success session will consist of two parts. The first is a discussion of your specific goals, any injuries or medical conditions you may have, identifying your current fitness level as well as what is the best plan of action to achieve your goals. Your success session will consist of a fun total body workout in which our Fitness Director, Jose will assess your movement patterns, flexibility, and level of conditioning. This workout will be tailored to your fitness level leaving you feeling energized and motivated. With his background in Physical Therapy and education in Exercise Science, Jose has the ability to gauge your fitness needs by observing your movement patterns and discussing your fitness goals in depth. Jose will team up with your Personal Trainer and Nutritionist to develop a specialized program for you to reach your goals as quickly as possible. His training and coaching methods have evolved to provide impeccable results. Throughout years of experience, he has acquired many specialty techniques to suit a variety of needs, making his approach specific to the individual. How to Schedule your success Session?